For as often as the couch is used, it tends to fall on the backburner when it comes to doing those daily cleaning chores. To get the most out your sofa, you must keep it clean. So whether it’s leather or fabric-based – purchase a cleaner, stain remover, and get out that vacuum to give it a good cleaning at least every two weeks. This will prevent dirt and stains from penetrating through the fibres and material, which can easily discolour it over time. Book an upholstery cleaning package every year or so to clean, groom, and polish your sofas, love seats, and chairs. If you want to give your couch a great defense line against grease and stains, give it a spray of Scotchgard Fabric Protector. Scotchgard and similar products product sofas and cushions from stains and liquid spills, without affecting the look of the fabric. It’s been a staple go-to source for years by stretching out the lifespan of fabrics and repelling those pesky stains. You know that favourite spot you always have to sit in? Well consider how much wear and tear that one cushion has to endure. To keep them from sinking, tearing and looking worn, be sure to rotate all of your cushions frequently. It will give each side a break from the high traffic, and keep them looking great longer. While you rotate those cushions, don’t forget to plump them up. The filling and fabric of your couch clearly gets a little flat each time it’s sat upon. So simply giving each cushion a good plumping and shake every so often will help bring them back to life. This will help them look instantly fuller and – almost – like new. 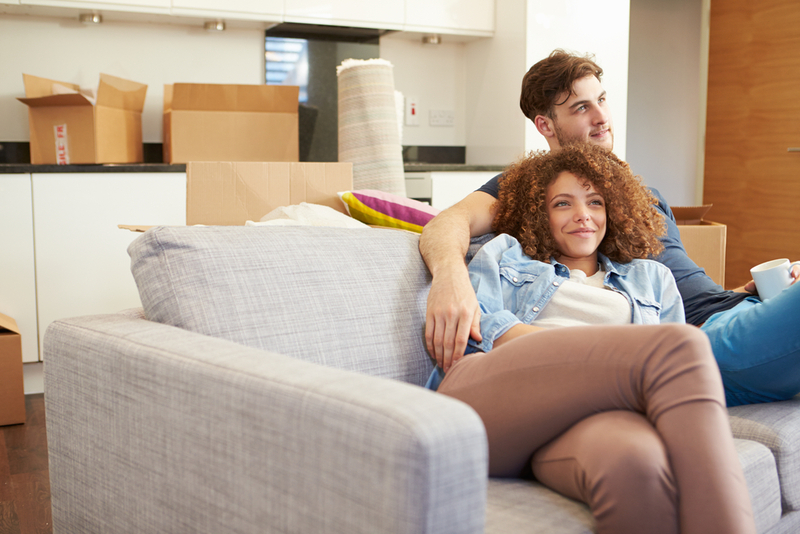 Buying a new couch can be a pretty costly investment, so it’s important to try and get the most out of it when you do. With the frequent and constant wear and tear your couch endures on a daily basis, the only way to take advantage of that lifespan is by maintaining it. Follow these quick tips to keep your couch clean so that you can get the most out of it.